Avast Software just released the latest update for its paid antivirus products. The newest build of Avast antivirus program is 17.5.2302 and it comes with a dedicated ransomware shield. We all know that recently Wannacry ransomware affected more than 300,000 computers worldwide. Most of them were running Windows 7 operating system. Microsoft already patched the SMB vulnerability through MS17-010 update. Avast is the only antivirus program that blocked the Wannacry ransomware one million times before it can infect the targeted computers. Now basically a Ransomware encrypts and locks your important files and asks for ransom for unlocking your files. These files mostly include your photos, videos, and images. A Ransomware targets file types like .jpg. It is not limited to just encrypting and locking your photos and it can encrypt almost any file type which may be of high importance to you. 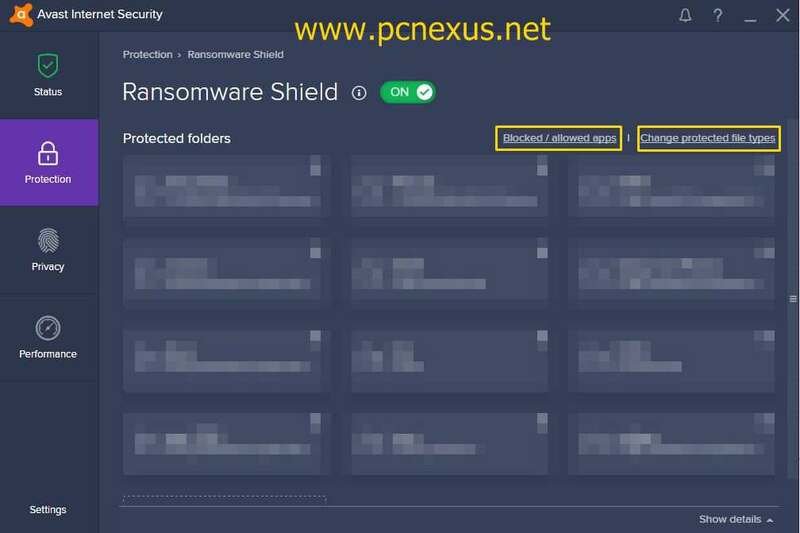 So Avast has just released Ransomware shield for their premium products (Avast Internet Security and Avast Premier). The Avast ransomware shield automatically adds your important folders to a protected folders list. These folders mostly contain images having the .jpg extension. 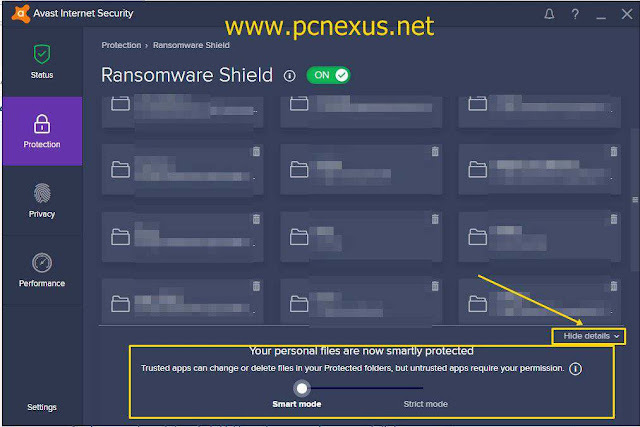 But Avast Ransomware shield gives your more control and lets you manage the security of your protected folders. You can add custom file extensions and thus can prevent any Ransomware from encrypting them. Another interesting thing is that you can block several apps from making changes to your protected folders. By default only trusted apps are allowed to make changes to protected folders like Microsoft Word. So in this tutorial, we will discuss how to use the Avast Ransomware shield. You can avail 30-day free trial on any of the Avast product below. After the trial, period you have to purchase a license continued protection. 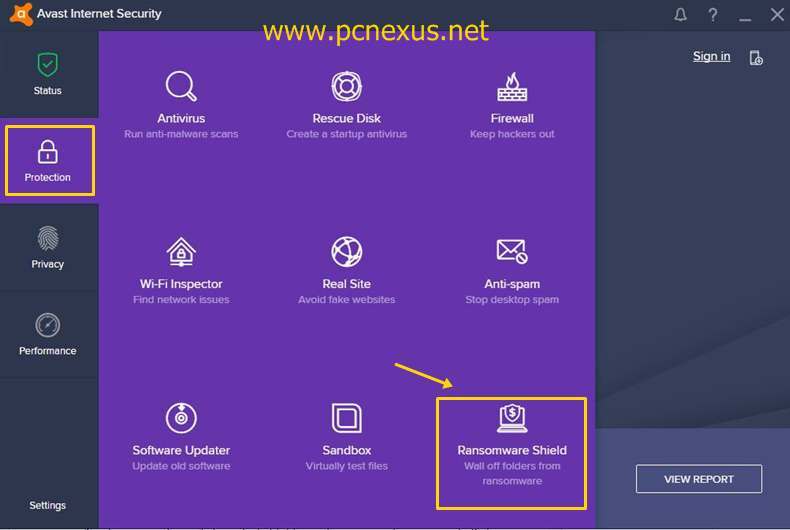 First of all, do note that this newest shield is only a part of Avast Internet Security and Avast Premier. The Avast free antivirus doesn't have this shield. So if you are not a premium member then buy either Avast Internet Security or Avast Premier. To buy any of these antivirus products go here. Open the Avast antivirus program and click 'Protection'. Then click 'Ransomware Shield' and scroll down. Here you will see an 'Add folder' option. Click it select the desired folder. You can add multiple folders but one at a time. Once the folders get added into this shield they are automatically converted to protected folders. This means that they get an additional layer of security on them. 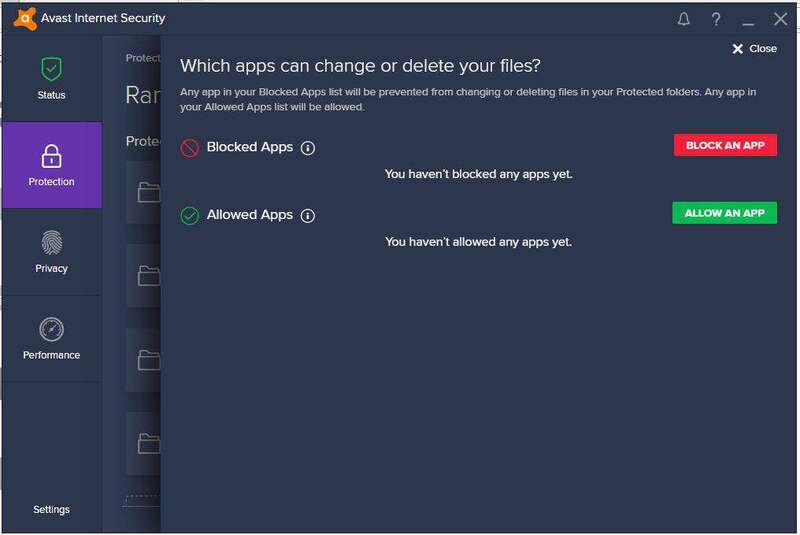 Now Avast won't let any untrusted program or software to make changes to these folders. Folders inside this shield can't be accessed by complex Ransomware programs, so finally they can't be encrypted. Therefore your important folders remain safe against any kind of virus attacks. The Avast Ransomware Shield has two security modes the first one is 'Smart mode' and another is the 'Strict mode'. In smart mode only trusted apps are allowed to make changes or delete files and untrusted apps are not allowed to make changes or delete files. In 'Strict mode' no app is allowed to make changes or delete files from protected folders, not even trusted programs or software. After enabling 'Strict mode' anything that tries to make changes to your protected folders will require your permission. No changes can be made to protected folders unless you grant permission to that particular program. To switch between modes you have to click the 'Show details' option just below the 'Add folder' option. Choose the security mode accordingly. Choose 'Smart mode' if you trust programs and software from trusted developers like Microsoft. Choose 'Strict mode' if you don't want let access to your protected folders without your permission. By default, Avast Ransomware Shield is protecting images, videos, audio files, archive files, database files, disc files, and documents. So by default, it is protecting 105 file types. However, you can add your own file types to add it to protected list. To add a custom file type click 'Change protected file types'. In 'Custom files' add the file type. You can add multiple files types separated by a comma. Suppose I want to protect my WhatsApp databases having file type '.crypt12'. So I will either enter crypt12 or .crypt12. Both will be correct but enter one file type only once. Enter multiple file types separated by a comma. You can manually block an app or a program to prevent changes in the protected folders. Also, you can allow programs or apps to make changes in the protected folders. Simply go to 'Blocked/allowed apps'. Here click 'BLOCK AN APP', grab the executable file from the explorer and add it to block list. Once added to the block list that particular app or program can no longer have access to your protected folder. Similarly, you can allow other apps too. If you are not sure which apps to block and which to allow then completely leave it to default. If there is no app or program in the block list then your protected folders are still secured. As in default mode, Avast will only let trusted apps to make changes to your protected folders. If it finds any suspicious or malicious program or app trying to access your protected folders then it will be blocked immediately before making any changes. So this was the brief tutorial about Avast Ransomware Shield from the program version 17.5.2302. It is indeed a useful security feature for premium Avast antivirus users. 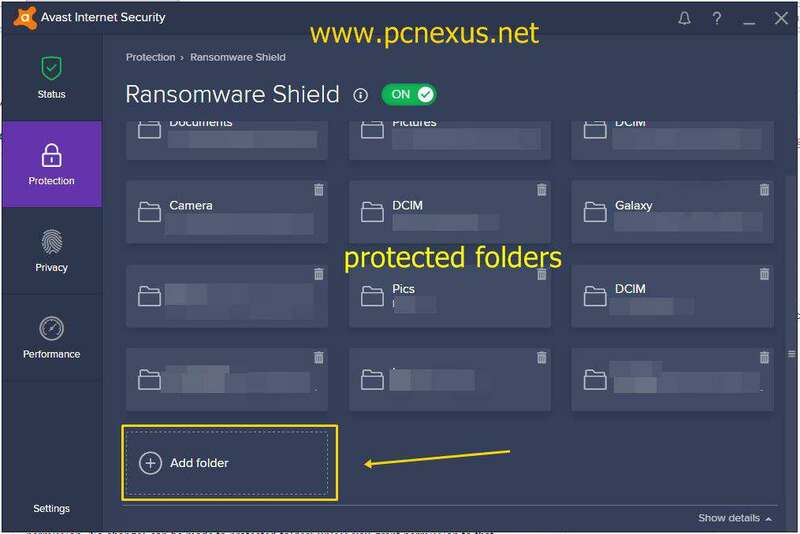 This newest shield comes with an added layer of security which protects your sensitive files and folders from unwanted cyberattacks, malware, and viruses. If you are still using the free antivirus then this is the right time to upgrade to a pro version. A paid antivirus has a very high detection and protection rate when compared to a free antivirus. And if we are talking about world's most trusted antivirus Avast, then there are no doubts.